The history of chess is the story of a game that was carried from Asia through the Middle East, along North Africa and into Europe. It spread throughout Europe and into Russia making it a global pursuit. It is estimated that 10% of the world's population can play chess. It's journey took place over many centuries. It became embedded in many cultures. In a process of evolution and change it diversified into many variants. Each one a unique creature designed to flourish in a different environment. Chaturanga is the oldest known variant. It evolved into Shatranj. Later the Moors brought Shatranj from North Africa into Spain. The pieces changed again to reflect a Medieval court so that Europeans could identify with the game. Slowly but surely chess was played in every city producing many great European masters. During the latter stages of the 15th Century the game in Europe saw several major changes. These rule changes for the basic moves modernized chess into the form we know today. Pieces were changed to reflect European society instead of Chinese, Indian or Arabic society. The rule changes were initially devised and implemented in Italy and Spain. These were the two strongholds of chess in Europe at the time. Chess quickly spread northwards and by the 19th Century had completely colonized the continent. The first international tournament took place in London in 1851. The first official World Championship was held in 1886. 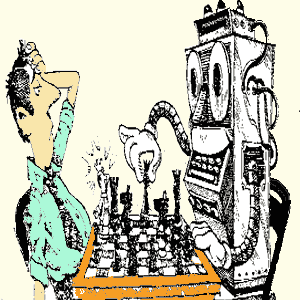 The 20th Century saw the advent of chess computers which have been responsible for unprecedented advances in chess theory. We have a quick primer for the brief history version. History of Chess - India or China? Western Chess is roughly 1,000 years old. It is widely believed that the origin of chess can be traced to earlier versions found in India in the 6th century AD. There are also some who contend that the game can be traced back even further to China. This is quite controversial for some and things can get heated. Many groups want to claim credit for inventing the game. We can't say for sure if chess was invented in India or merely traveled there from China. We do know that it spread from India to Persia. When the Arabs later conquered Persia they learned chess from the Persians. The Moors brought the game to Europe during their era in Spain. The Spaniards and the Italians dominated European chess initially. The changes that chess underwent in all those countries throughout all those years inevitably created a fascinating history of chess pieces. The gradual evolution from their earliest form to the modern pieces of today speaks volumes on the places they've seen. The pieces in the game of chess are like a window into the past. Their part in the history of chess give us a fascinating insight into the make-up of numerous civilizations in previous centuries and millennia. The King is the most important, though not the most powerful. The Queen is the most powerful but not the most important. The Rook is next in terms of strength. Then Bishops, then Knights. The humble pawn is the weakest of all and yet together the pawns are so powerful that their structure determines the entire nature of the game. The Romantic Era of chess is set mainly in the 19th Century. It gets it's name from the style of chess that was being played at the time. The emphasis was on flamboyant attacking chess culminating in ruthless assaults on the enemy King's stronghold. These captivating battles were played out in the chess cafes of Europe. Top chess players became well known across the continent. This era produced great players like Paul Morphy, Adolf Anderssen, Daniel Harrwitz, Howard Staunton, Henry Bird and Johannes Zukertort. Wilhelm Steinitz also arrived during this time and played great chess games in the time honored Romantic tradition. But he would be the one to develop a new style, positional chess, that would eventually replace it. Before it's demise some of the most memorable games in the history of chess would define the Romantic Era. The practice of recording official chess matches began in the 1500's. Some remarkable matches have been played throughout chess history. Some have been so good that they are still marveled at today. In some cases these games are centuries old. Some of the games you find here are included because of their brilliant attacking play. Some for their daring sacrifices. Many of these games have interesting variations. This means that not only is it great entertainment to play through the games but there are important lessons contained within. There are games here from every century. They are taken from a variety of different masters. They are some of the most famous chess games from the history of chess. The concept of a World Chess Champion was always there. It began to gather pace in the 1800s. The best player of the day was essentially considered World Champion. Wilhelm Steinitz considered himself World Champion after a victory over Adolf Andersson in 1866. However the first proper official World Championship match was played between Steinitz and Johannes Zukertort in 1886. From 1886 through to 1948 World Championship contests were arranged between the players. The players organized the prize money. This sometimes caused problems as the best players couldn't always afford to challenge for the title. FIDE came into being in 1948. Despite problems from 1993-2006, FIDE has managed the World Chess Championship since. Vladimir Kramnik: 2006-2007; Viswanathan Anand: 2007-2013; Magnus Carlsen: 2013-present; Let's celebrate the World Chess Champions. Combinations have always been the most intriguing aspect of Chess. The masters look for them, the public applauds them, the critics praise them. It is because combinations are possible that chess is more than a lifeless mathematical exercise. They are the poetry of the game; they are to chess what melody is to music. They represent the triumph of mind over matter. Though most people love to look at the games of the great attacking masters, some of the most successful players in history have been the quiet positional players. They slowly grind you down by taking away your space, tying up your pieces, and leaving you with virtually nothing to do! Read more great Chess Quotes. Correspondence chess is played by long-distance correspondence, through a correspondence chess server, through email or by post. It is possible to build friendships with people with whom you have something in common without actually meeting. Some people like this aspect of it. The length of a game depends on the mode of communication. Games played electronically would tend to last a few days or maybe a couple of weeks. 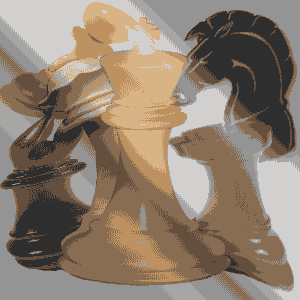 Postal chess has a longer history in chess dating back a couple of centuries. Games played by post will take somewhat longer. Time limits are decided between the players before the games and these vary depending on the circumstances. Mistakes are rarer in postal chess given the greater amount of time available for calculations. So if you mess up it can be difficult to rectify the situation! 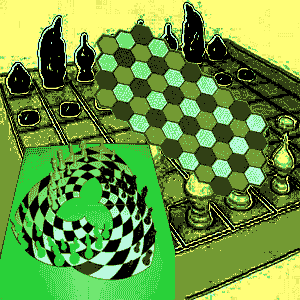 Scientists have always worked on creating computer programs to play chess. In previous times the world's top players scoffed at chess computers. 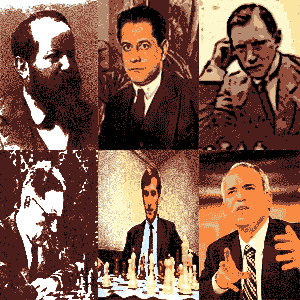 But they have proved to be probably the most important event in the history of chess with respect to analysis and theory. In 1997 Deep Blue became the first computer to beat a reigning World Champion. Garry Kasparov was not too happy about it! But now the world game has been shaped by the variations these programs have discovered with their ever increasing capacity for deep calculations. Many chess variations and positional problems have been around for centuries. Like the Ruy Lopez Opening or the Lucena Position. But computing technology has simply moved chess theory on playing possibilities to another planet. Battle Chess has 35 battle animations. The pieces change form when completing a capture. It's really clever. Instead of the piece merely replacing the opposing piece on your screen, an animation takes place basically showing the attacking piece taking his opponent out. The rook becomes a rock monster and just smashes a pawns head. The game could be played against other people or against a computer. If you play against the computer you are taking on a repertoire of about 30,000 moves. Best of luck with that! 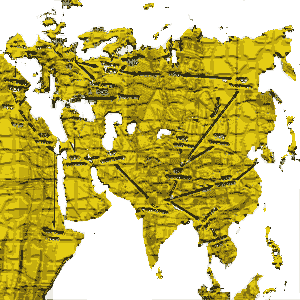 There's literally thousands of known chess variants from Asia and the Middle East. They are generally descended from games that originated either in China or in India. Most people say that chess has it's origins in India yet a sizeable number are adamant that the game was played in China first. No one quite knows for sure although as far as they are concerned many people do. But the concrete proof is still missing. Far from settling the issue let's muddy the waters even more. Some people say that chess was not born in Asia at all, but would you believe it in Ireland?! At least according to the Celtic History of Chess. To be honest this game has so much history and is ingrained in so many ancient civilizations, it's hard to do more than scratch the surface. We keep repeating how much it shows us about people that lived before us back in the mists of time. But it's funny you know, it tells us as much about ourselves because fundamentally we haven't really changed that much at all. One of the most interesting things about chess is the modifications it has seen in so many places and eras. Yet the principles remain essentially the same. There are literally thousands to choose from but why not sample some of the best known chess variants.